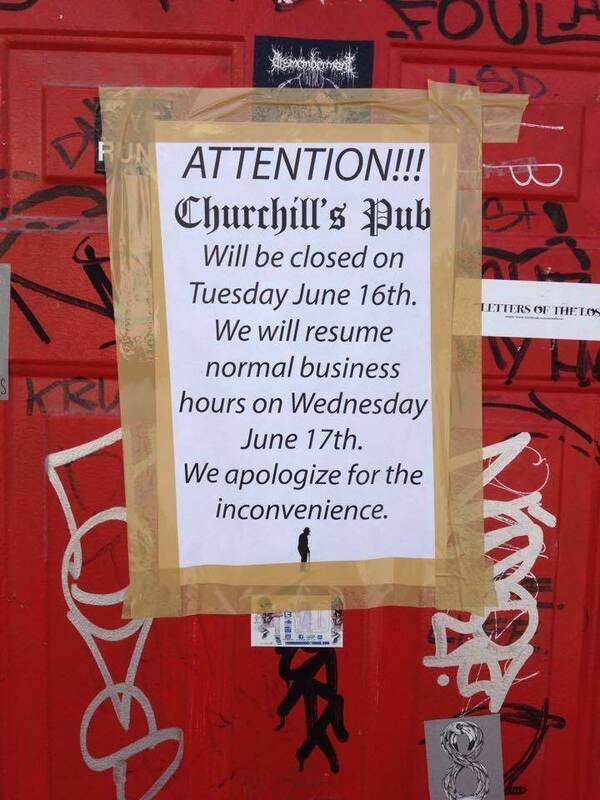 Churchill's is closed today, Tuesday June 16th, for a production. We will resume normal business hours tomorrow, Wednesday June 17th. We apologize for the inconvenience. Thank you. -Winston C.